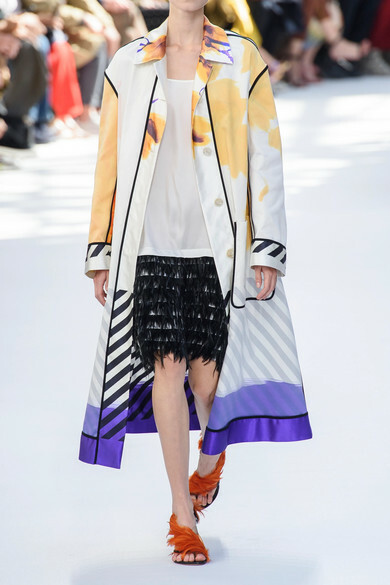 Dries Van Noten says his Spring '19 collection is made for women who like to have fun with their clothes. Closing the show, these sandals have been made in Italy from black leather and transparent PVC. 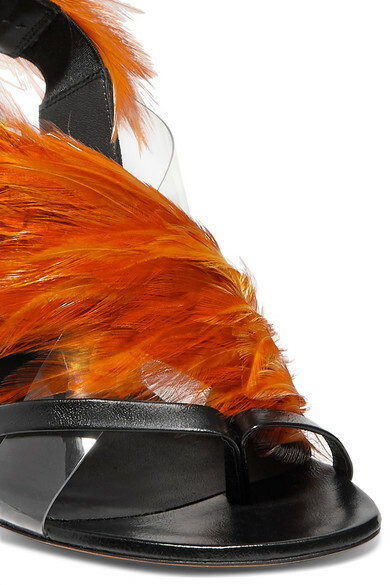 They're embellished with firey orange feathers that elegantly wrap around your foot. 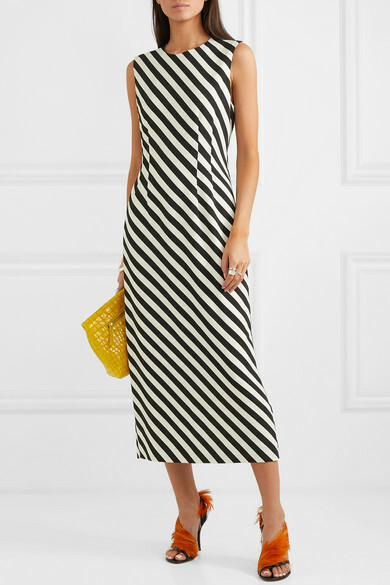 Shown here with: Dries Van Noten Dress, Dries Van Noten Clutch, Sophie Buhai Bangle, Paola Vilas Ring, Sophie Buhai Rings.